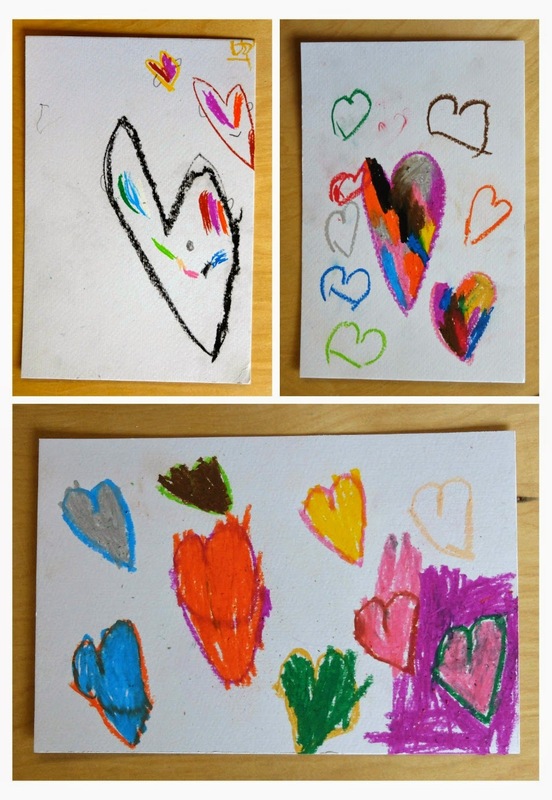 My kindergarten kids were drawing hearts everywhere (that they weren't supposed to). So I cut them a deal; they would cease and desist drawing hearts all over penguin projects, and we would do some cool heart art. 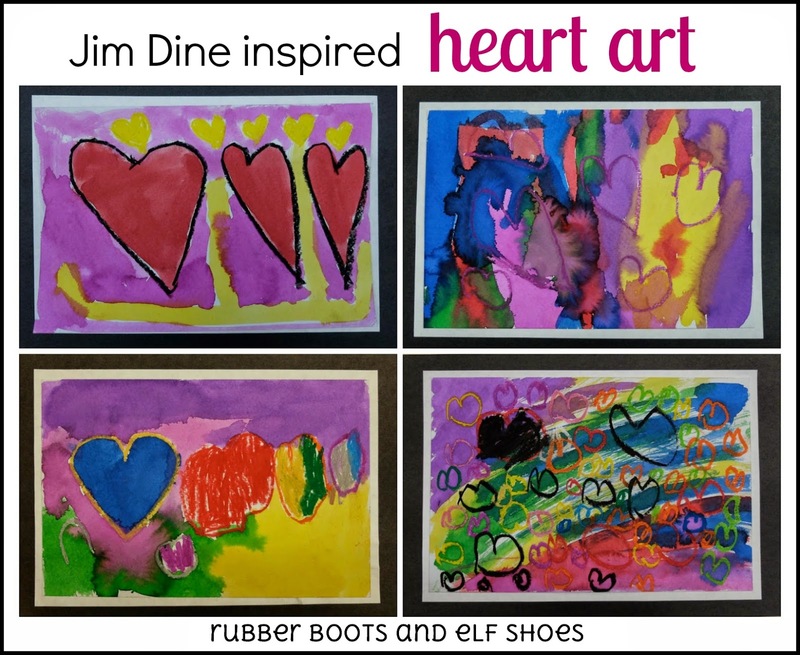 We looked at some Jim Dine hearts. We looked at the heart colours, how sometimes they drip into each other, other times are clearly separate, and other time are like ripped pieces of paper. We looked at the colours in the background. We looked at Mr Dine's hearts with artists eyes. We talked about being inspired by somebody's art. 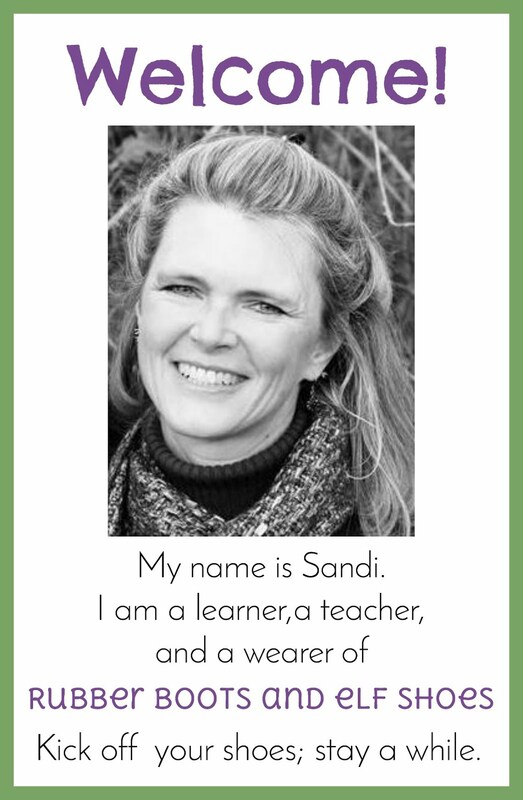 Their art gets inside your brain and helps you grow ideas. 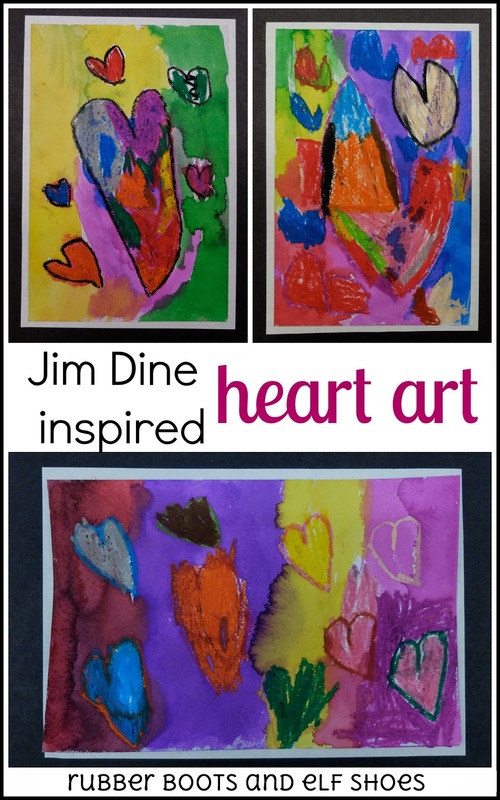 We looked at Mr Dine's hearts for inspiration. 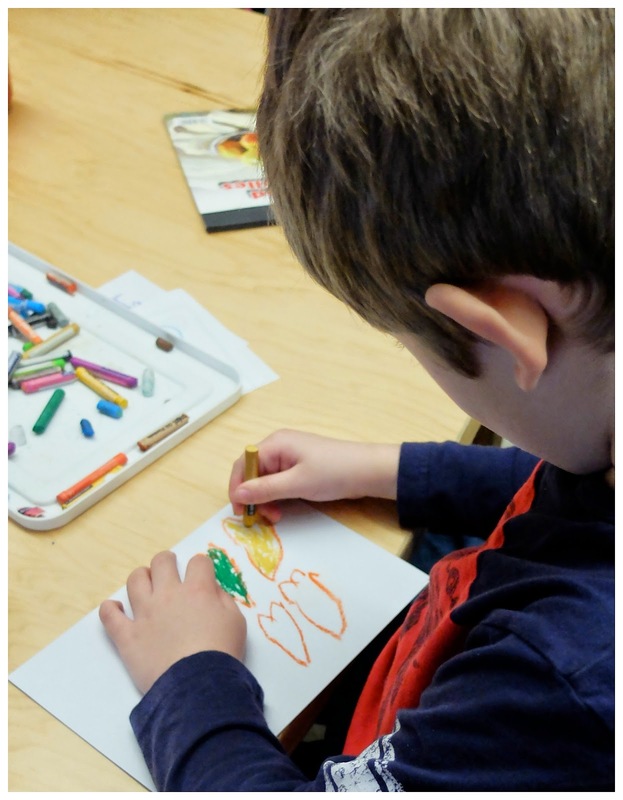 Our first step in the creation process was drawing with pastels. I love the bright, vibrant colour they offer. 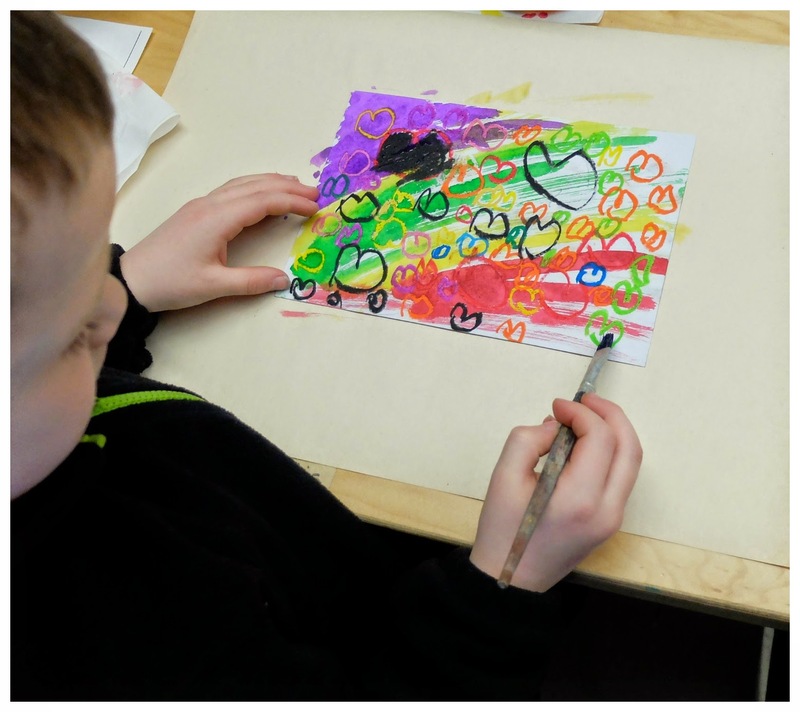 We had to think about what we wanted to draw with pastels, and what we wanted to paint. 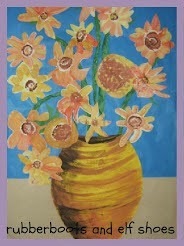 The kids' work was all so wonderfully different. 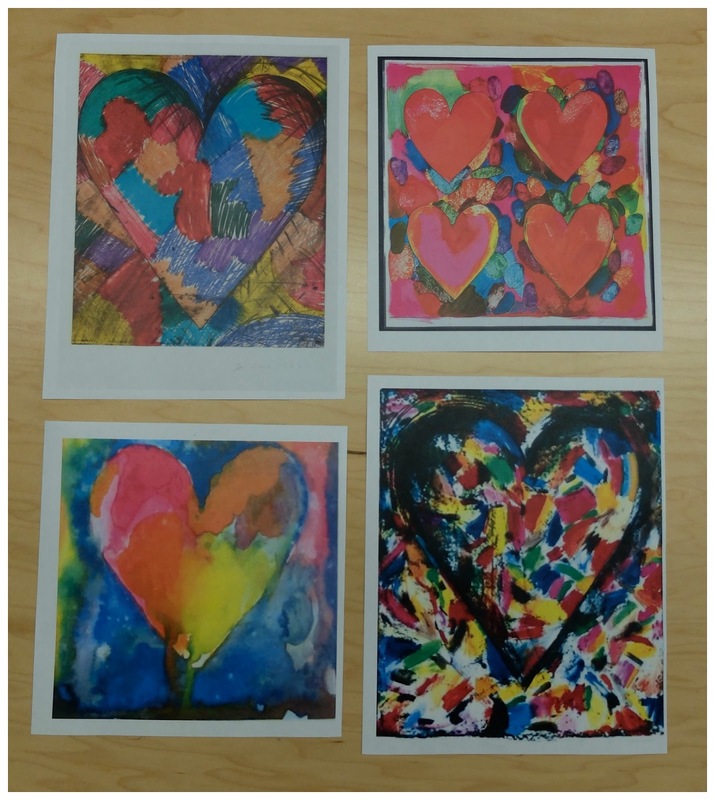 Just like Jim Dine, the kindergarten artists wanted different effects from the paint. Distinct colours, merging colours, defined spaces, overlapping spaces. I love all of this, but I'm especially drawn to the Happy Heart! So inspiring. 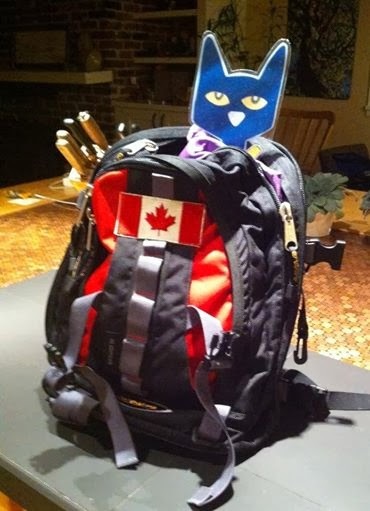 I was just thrilled with the art that my little artists were inspired to create. Your kids did a fabulous job!